Landing on the rooftop in a crouch, the assassin pauses in the shadows. Drawing his twin Shadow of the Gemini Swords from their shared sheath, he waits until the moon passes behind a cloud before continuing pursuit of his target. 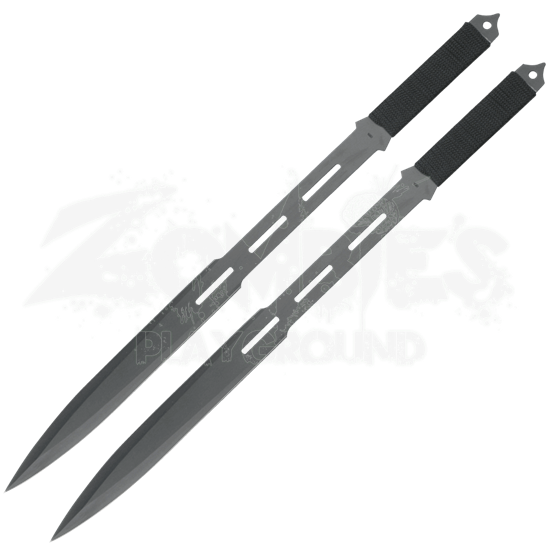 These twin swords are made from stainless steel, with a black finish for stealth and style. Displaying three slot cutouts each, these decorative swords have cord-wrapped handles with drilled lanyard holes. The black nylon sheath holds both swords securely, and has an adjustable shoulder strap for a custom fit. 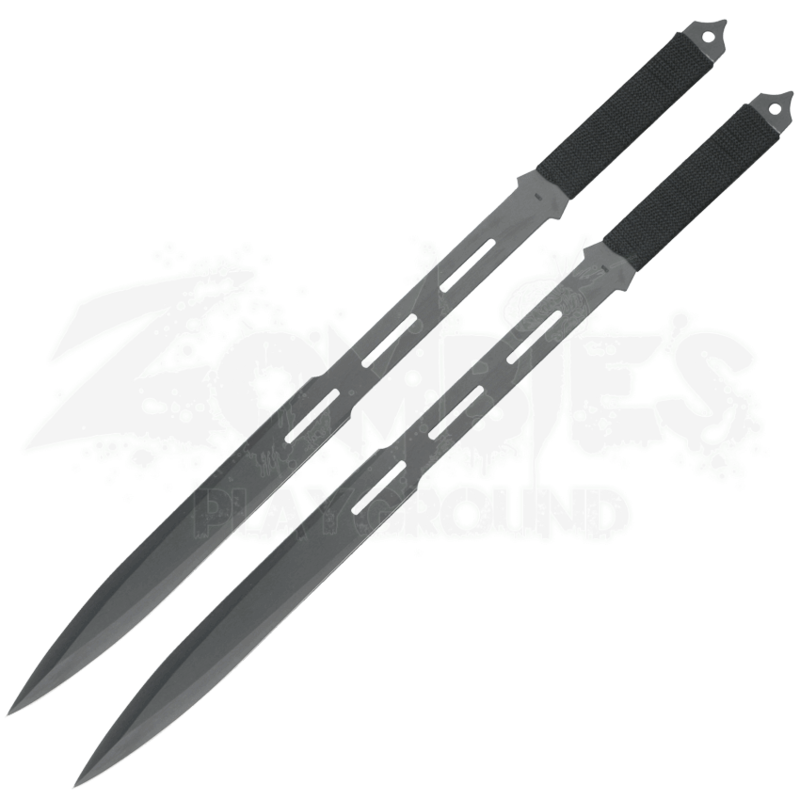 This collectible pair will make a great addition to your subterfuge character arsenal or for adventures when a single blade is never enough.